Eating and drinking. What’s better? The answer is nothing — except doing both cheap. In a city where Crane-Watch is a thing and liquor license numbers are breaking records, there are a lot of places to do that. But when 4:55 rolls around, it’s easier to cut and run if you know where to go. To wit: the 10 best happy hours in Nashville now. The restaurant has to be local and located in Nashville proper. They have to offer deals more than one day a week. The deals must include drinks AND food (because we are equal opportunity lushes and gluttons). For Sylvan Park residents, Park Cafe happy hour has long been one of the city’s best kept secrets, and we are here today to ruin that. 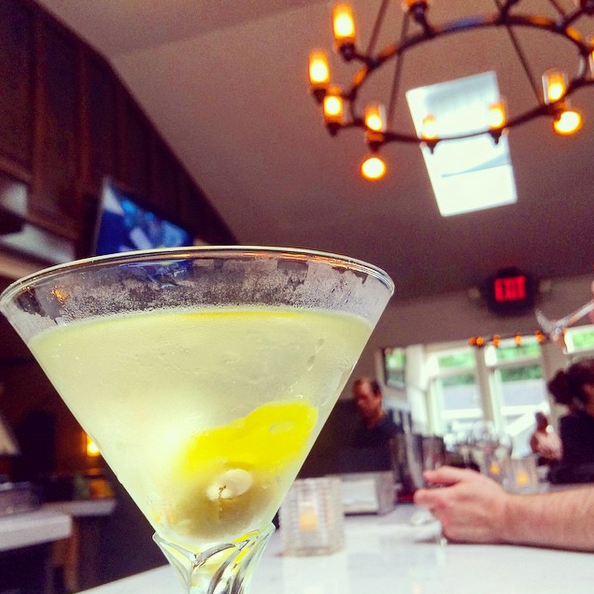 Their $5 “Hot ‘n Dirty” martini is a steal, and the rotating selection of $7 small plates is always on point: pizzas, mussels, fried pickles, hummus (only $5). Plus, a recent facelift has made the bar sleek and airy, so it’s a perfect fancy-adjacent HH option. Hot ‘n Dirty — pepperoncini juice + blue cheese olives + you get to ask someone for a hot ‘n dirty without getting arrested. Margarita — it’s pink, but it’s delicious. Pizza of the day — ex. Reuben pizza, which is equal parts weird and tasty. Full disclosure: a $7 glass of wine isn’t the deal of the year, but a $7 Old Fashioned as good as Bar Luca’s might be. 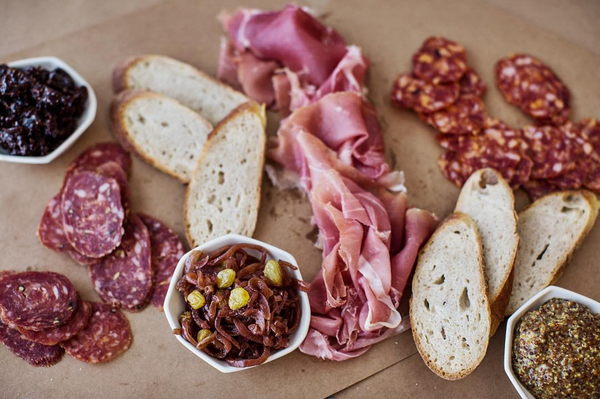 Plus, the $20-ish deal on their charcuterie board — three each of meats, cheeses and accoutrements — will go a surprising way toward filling two people up, and make a good snack for 3 or 4. The warm olives — so tasty and just $6. The popcorn (in whatever awesome flavor they’re doing it that day) — it’s free, and you can’t improve upon free. Seventy percent of you will be the youngest people through the door at Sperry’s, but that doesn’t make this deal any less stellar. It’s old school, to be sure, but that’s kind of the point. With escargot and shrimp cocktail for $7/each plus half-price bottles of wine Sunday-Tuesday, you’ll be asking your chaperone to drive your Caddy back to the home for you. 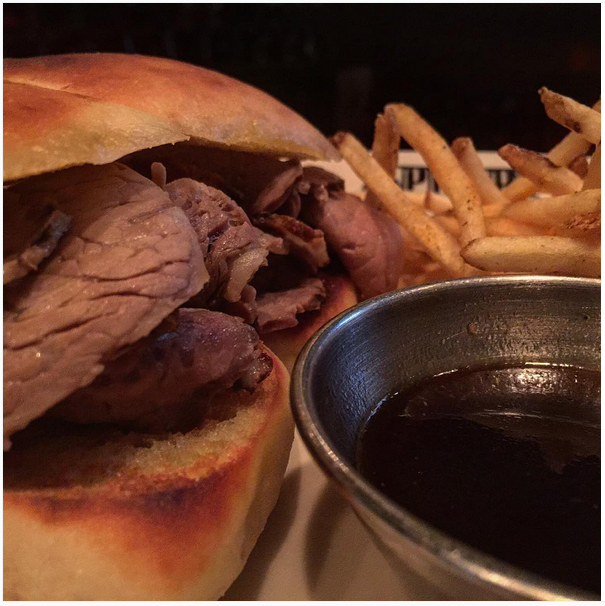 Prime Rib Sliders — you get 2 + fries, horseradish sauce & au jus; these sell out daily, so order early. To get a table during happy hour in December — it’s like having a drink inside “It’s A Wonderful Life,” but with more colored lights and less suicide. 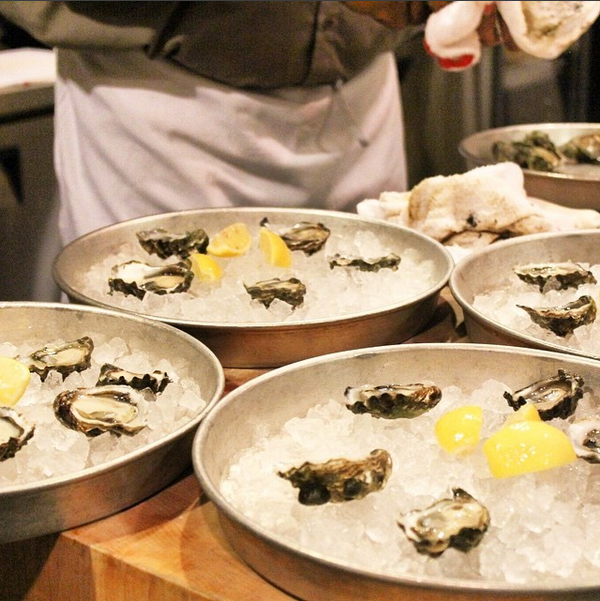 Since we’re landlocked, it’s no surprise reasonably priced oysters are few and far between. 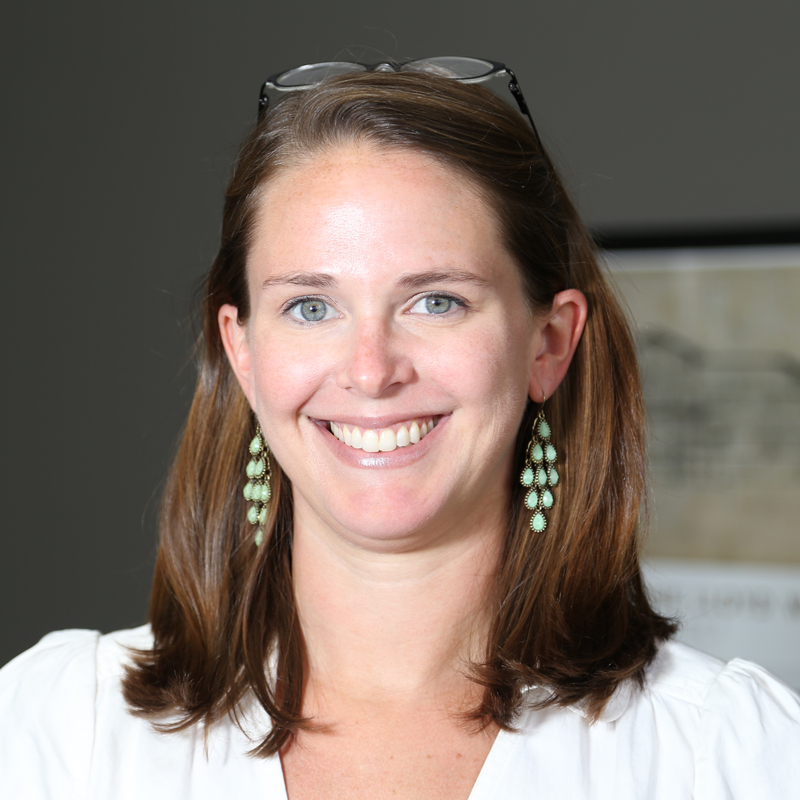 But, for 18 hours each week, The Southern is the exception to that rule. The discounts are also deep on cocktails — a $5 well drink is more than a 50% discount off the norm, so get while the gettin’s good. Parking — Valet is free (+ cash for tips), as is self-parking for up to 3 hours if there’s not an event at Bridgestone or the Schermerhorn. Reservations — You won’t always need them, but in our experience, you get seated twice as quickly if you jump on OpenTable and make one rather than just walking in and putting your name on the list. It’s weird, but it works. 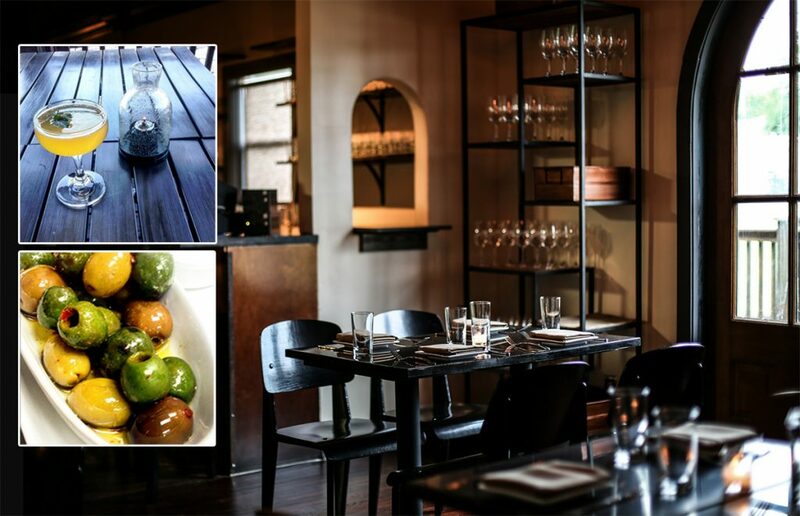 A welcome alternative to draft beer and bar nuts, Chauhan offers drinks and apps that are part Southern/part Indian. 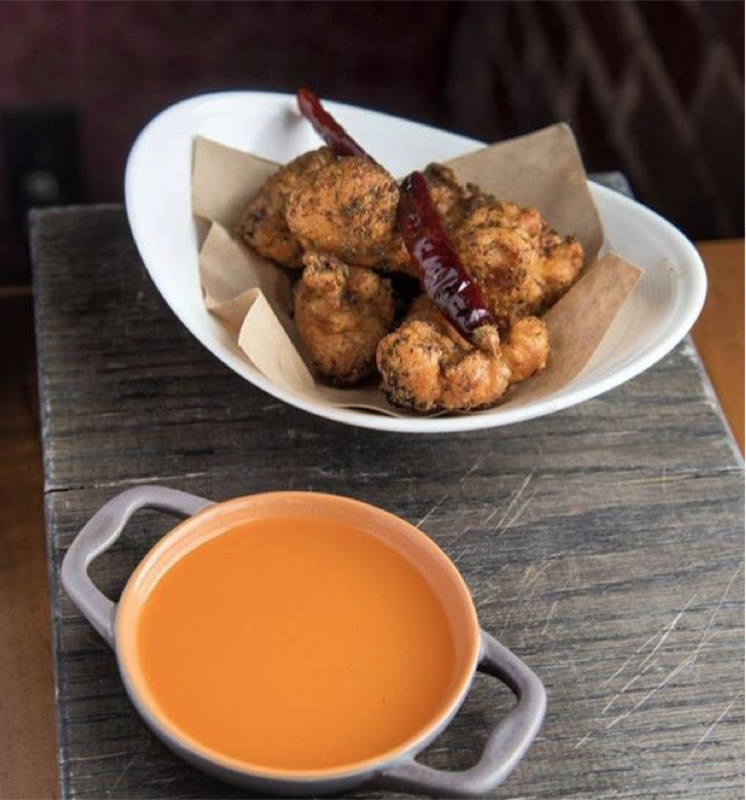 To wit: the Hot Chicken Pakoras (above) that are frequently on happy hour special for a mere $6. A pakora is essentially an Indian fritter, which they’ve hot-chicken-ified, as having at least one hot chicken dish is now required by law in Nashville. The Beer Pale happy hour is unique in that the beer part can be enjoyed to-go. Grab a $1 discount when you swing by and fill up your growler on the way home to enjoy a pint on your own porch. Or, if you want to sit and stay awhile, order pretzel bites and a pint for $2 off. 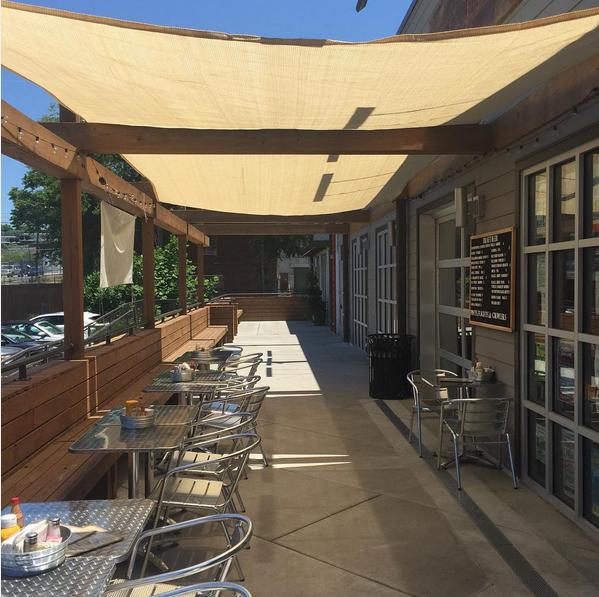 The porch has recently been covered and is very dog-friendly, so bring your furry friends. The tunes are always good. No Top 40 pop country here. 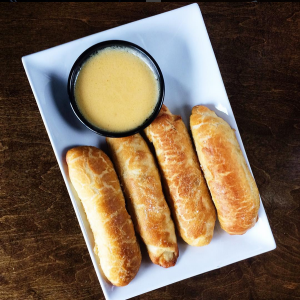 On Wednesdays, they sweeten the deal with 1/2 price apps starting at 4. The main event here is, much like The Southern, the $2 oyster deal, but stick with veggie-heavy small plates and you can make a beautiful, light meal that doesn’t break the bank. 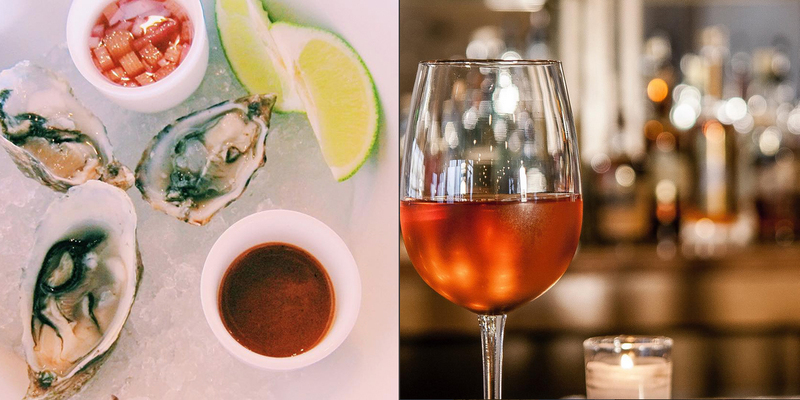 These folks also love their rosé and usually have a good happy hour price on one, so pair ’em up. 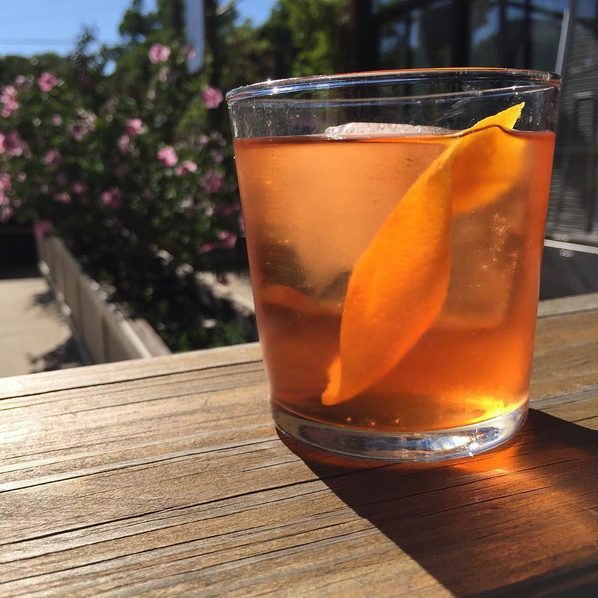 With a solid array of classic cocktails clocking in at $6, Holland House is the perfect East Nashville spot to kick off an afternoon out. Insider tip: They also offer a late night happy hour on food from 10-midnight Thursday-Saturday, lest the food industry folks be sent home hungry. Try the poutine. It’s always a good call. Another spot coming in strong with $5 cocktails is 51st Kitchen, which also happens to have three distinct ambiance options: cozy bar, private table or spacious outdoor patio. The warm olives are — as at Bar Luca — really freaking good, and made better by the fact they’re only $4. 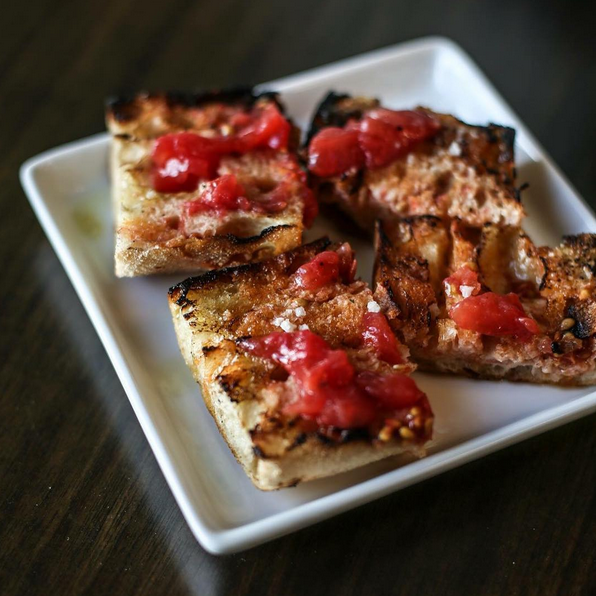 Are warm olives the new hot chicken? 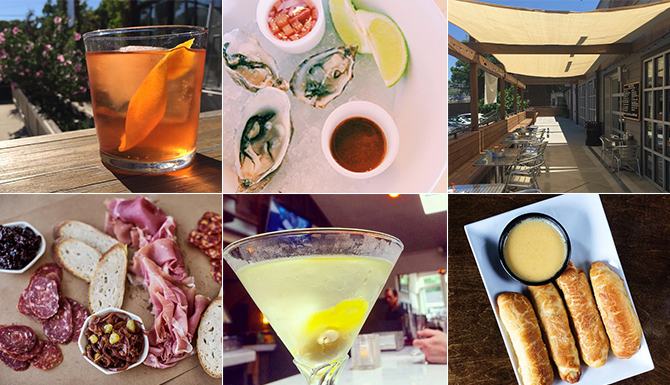 Let’s be honest: Prima isn’t cheap at happy hour or anytime, really, but if you hit it from 4-7, you can taste their wares without taking a huge hit to the wallet. The bar is pretty, the drinks are tasty and some of the snacks are quite affordable. Try: The “pan con” whatever is on the menu. It’s effectively just grilled bread rubbed with garlic and topped with something else (tomato, pork), but at $6, it’s required eating. 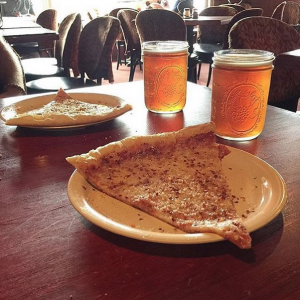 While they do technically offer 2-4-1 deals on draft beer every weekday, the other deals are limited to Tuesdays. 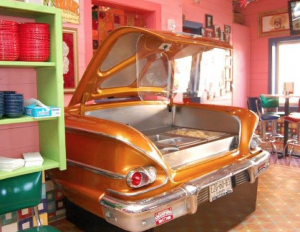 Margaritas under $5 are good; a free nacho bar car is better. Every time I take advantage of this, I feel sad I can’t experience it as my college self. She would be so happy. So, so fat, but also happy. They run their specials every weekday from 2-5, so the hours are a little tough for us cubicle monkeys, but the offer is good: 2-4-1 drafts, $5 appetizers (fried mushrooms, pretzels & beer cheese, etc.) + a few other daily deals. Also, bring your ticket to any Sounds game day-of and they’ll give you a free Old Style.